Heating Or Air Conditioning Out? Modern Heating & Cooling is here to help and to save you money! ​Step 1: Did you check your air filter? Step 2: Did you check your venting? Modern Heating & Cooling would like to take a minute to introduce ourselves if you don’t already know us. We are a heating company that has been in business for over 30 years now, and we pride ourselves in treating our customers with the best service possible. We are located in Black Earth, 17 minutes from Madison's west side, and we serve all of Dane County and the surrounding areas. We specialize in residential and commercial furnace, heat pump and air conditioner replacements, new-home construction, geothermal design and cost-savings analysis. We provide service to the HVAC and plumbing industries. Modern Heating & Cooling services all manufacturers’ makes and models of forced air and water heat boilers. Let Modern Heating & Cooling help make your life easier! ​Why should you get a maintenance agreement? Lower your utility bills by having your equipment tuned. 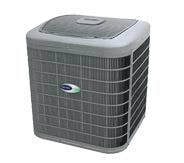 No need to remember to call for your furnace or A/C checks; we will call you to set up your appointments. Reduced rates with maintenance agreements, approximately a 10% savings per repair.